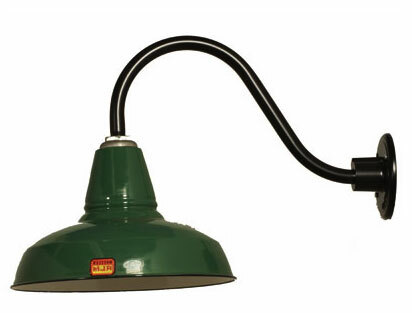 At the beginning of the 1930s a shift from industrial lights which hung over individual workbenches began to be replaced by its newly designed replacement, which became known as RLM Warehouse Shades. 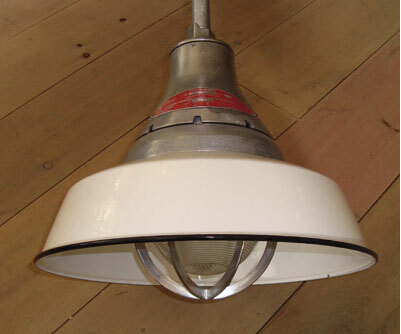 Due to its popularity several manufacturing companies began to produce this highly effective warehouse, factory light that used its uniquely original design to deliver a wide span of light. 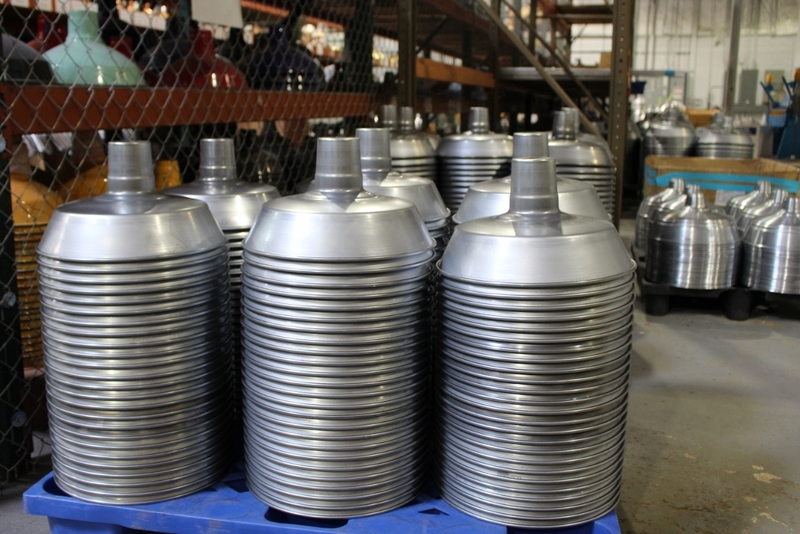 Companies such as Benjamin®, Crouse-Hinds, Appleton, and the Miller Company created differing variations to the traditional design that catered to different demands; some creating explosion proof versions for differing applications. Despite the popularity of these shades, most manufacturers went out of business or were shut down after the 1960s due to strict EPA regulations on porcelain lighting. Thanks to their durable construction and large numbers initially created, most manufacturing facilities already had the lights required for their businesses. Unfortunately as factories and warehouses went out of business they were renovated into lofts or torn down, leading to an untimely destruction of many classic warehouse shades. With a passion for RLM lighting, Barn Light Electric has been able to salvage as many of these time-honored designs releasing them to our customers under our Vintage Barn Lighting and Crouse-Hinds sections. These beloved collections have been cleaned up and preserved as eclectic trophies of the past, displaying the exceptional craftsmanship first released over 50 years ago. Just as relevant as they were so long ago, these vintage warehouse shades stand the test of time becoming the perfect addition to any nostalgic project. Could you please let me know the name of the company that manufactures outdoor gooseneck fixtures? It begins with a P, like patrol, or Petro, but can’t seem to remember it…! Help, please. I am obsessed with some wall outdoor fixtures that I saw in Kent, CT and would love to order them for my exterior walls. We are not aware of another manufacturer by those names, but do take a look around on our store at http://www.barnlightelectric.com. Our fixtures come in so many shades and gooseneck styles, you might be able to match the fixtures you found in Kent, CT. If you have a photo or any questions regarding something similar, give us a call at 800.407.8784, we’d be happy to help! If you could send photos of the fixtures to sales@barnlightelectric.com we would love to check them out! Thank you. I have 5 RLM Appleton lights,,,i tore them out of an old school and had a little gym with these light,,they are pocelian, green,,white inside,,top screw on like a mason jar,,great shape,,no dents or scratches,,stickers are perfect on two,,a third and fourth has partial and fithe is gone,,how much will you buy them for if interested,,and shipping negotiation. Im from East Tennessee. I am restoring a Ben7amin porcelain goose neck light fixture and looking for a socket insulator or a replacement socket. Hello! I picked up a Benjamin 20” diameter green porcelain light shade. It’s white on the inside that is stained to a fairly uniform brown color. I’ve tried regular soap and water and this cleaner called “Awesome” that usually works but had no effect. What would you recommend? I have an old barn light with what looks like a twist on mount that has the contacts for the power. It’s about 3 inched in diameter. Do you know where I can find the other part of this type of mount. I can’t seem to find anything in a basic search but not really sure what they are called.